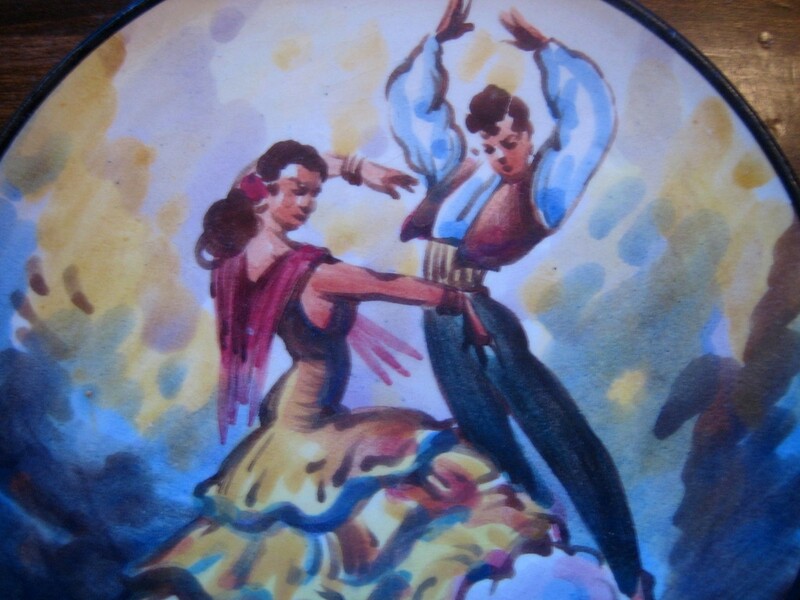 Click the button below to add the Hand Painted Spain Man Woman Flamenco Dancer Tile Vintage Plate to your wish list. 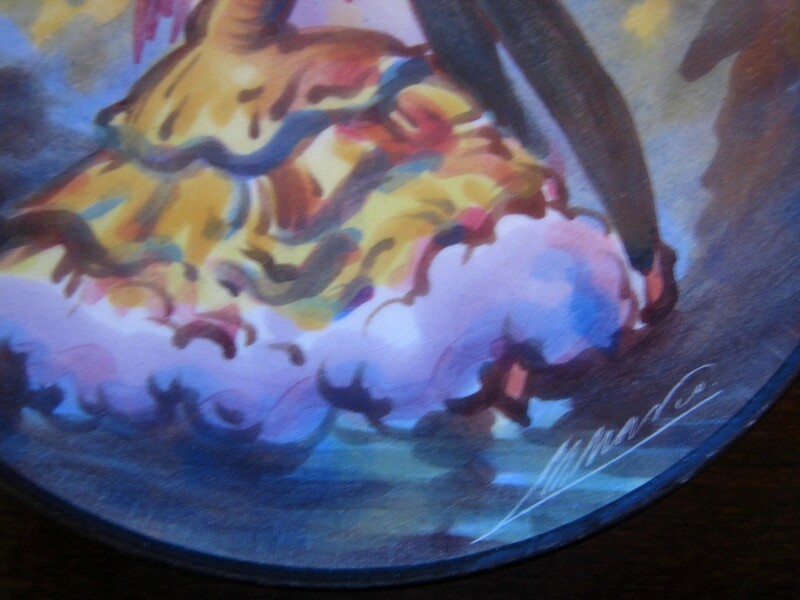 7 " Really charming! Vintage 1950’s. Marked Pintado a Mano Espana. Has a hole for hanging on the back.